People don’t come here for beer recommendations, at least according to my search term metrics. Nonetheless, I have been drinking a lot of different beers lately with an eye towards reviewing them. Usually something catches my eye in the store and I snag it. 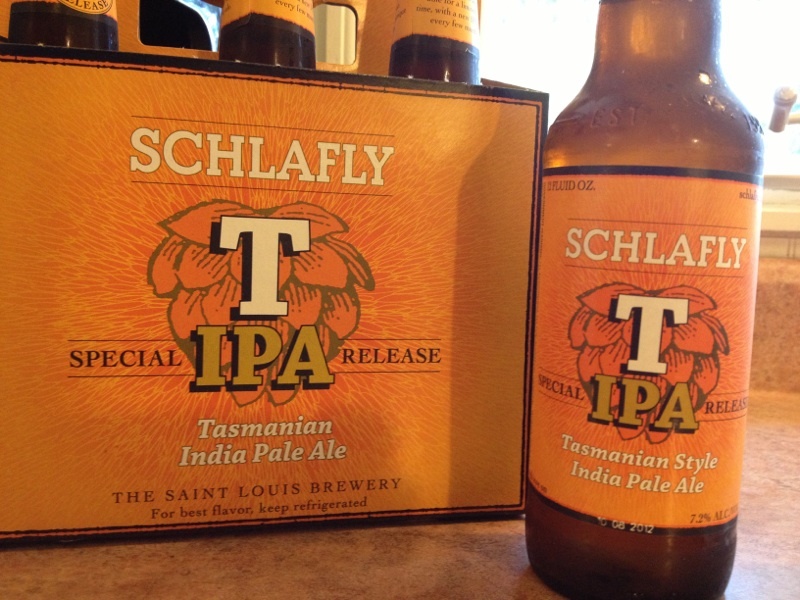 In the case of Schlafly Tasmanian Style IPA, I heard of and sought out this beer. At a pricer-than-many-other-sixers-but-still-reasonable $8.99, Schlafly priced this one right. I bought a six pack and gave it a shot. I’ve heard a lot about the TIPA: I’ve seen many Twitter posts discussing it; Rate Beer .com gave it a freaking 95! ; and Beer Advocate followed up with a very respectable 89. Let’s see if this is worth the fuss. 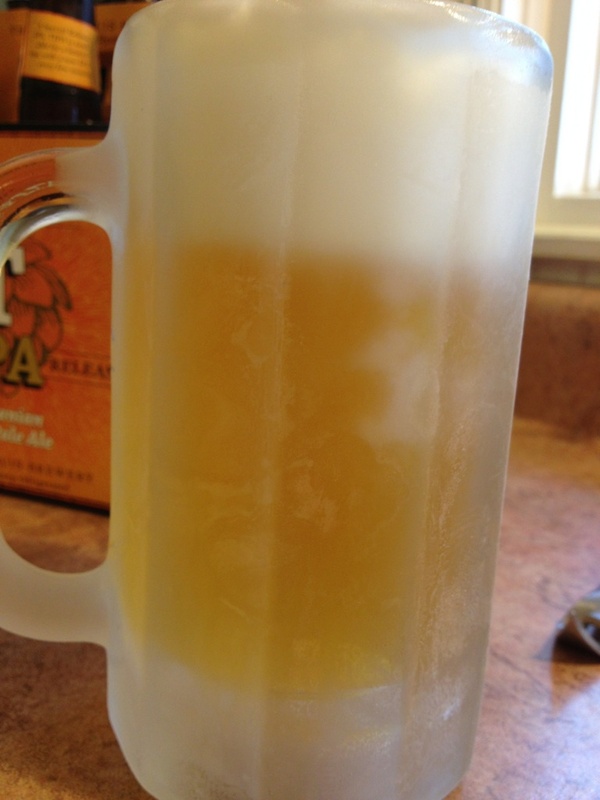 In a rookie jackass move, I poured some into a frosty frozen mug. Yes, I’m sure a tulip glass is probably the more appropriate vessel, but I like my beer in the mug or right out of the glass bottle. The aroma is very inviting. Not a strong hop blast like so many IPAs, even though it has a 7.2% ABV. It has a restrained bitterness in the smell, with a fruity… basically citrusy hop note. Grapefruit notes are strong in these hops, at least on my amateur palate. Poured aggressively into the wrong frozen glass, it gets a huge head. Later samples straight from the long neck bottle give a more reserved frothiness. Again, I am making a rookie mistake. The first few sips are off… perhaps it’s the uber-cold mug. Trying it from the bottle lets me enjoy the truer flavors. This is a cliche term when it comes to beers, so I hesitate to use it, but this is a very well-balanced beer. It has the right amount of hoppiness, the right crisp ale sensation across the back and sides of my tongue, a wonderful finish. I have to say that Schlafly really knocked it out of the park on this one. The relatively higher ABV is kind of… sneaky. You don’t expect it with the hop profile. Hard to imagine, but this is my new favorite IPA from Schlafly, overtaking the APA. You can really appreciate the craft of making craft beers with the Tasmanian IPA, so named for the Australian hops used in the beer’s making.